Offering you a complete choice of products which include desifer 400mg, mofilet 500 mg tablet, sirova (sirolimus), sandimmun neoral 100 mg/ ml syrup, sirova 1 mg tablet and myfortic 360 mg tablet. Deferasirox Is Helps In Removing Overload Of Iron In The Blood. 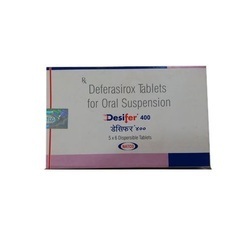 Deferasirox Is Used Mainly In Blood Cancer Patients Or Thalacemia Patients Or Chronic Anaemic Patients Who Receive Regular Blood Transfusions . GI Upset, Glossitis, Stomatitis, Altered Taste; Headache, Dizziness, Hallucinations, Insomnia, Other CNS Effects; Rash; Hepatic Dysfunction, Potentially Fatal: Pseudomembranous Colitis, Anaphylaxis, Stevens-Johnson Syndrome. May Potentiate Oral Anticoagulant Action. May Elevate Serum Digoxin Concentration. Potentially Fatal: Increases Plasma Concentrations Of . 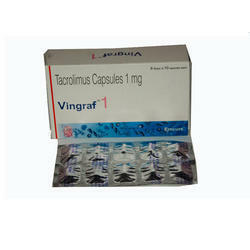 Increases The Risk Of Ventricular Arrhythmias In Patients With Preexisting Cardiac Diseases. Hypersensitivity. Patients Receiving Terfenadin, AndErgot Derivatives. Pregnancy; History Of Acute Porphyria. Renal And Hepatic Impairment; Macrolide Cross-Resistance; Lactation, Children. Sirova, also known as rapamycin, is an immunosuppressant drug used to prevent rejection in organ transplantation; it is especially useful in kidney transplants. It is marketed under the trade name Rapamune by Wyeth. Take consistently either always w/ or always without meals. 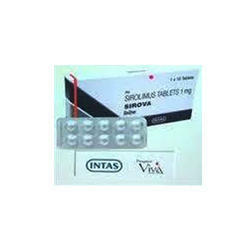 Minimum Order Quantity 1 Box Packaging Size 10 tablet Packaging Type boxDose/Strength (ex. 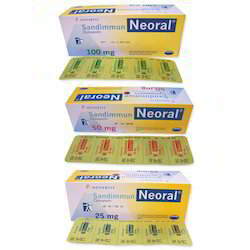 1 mg or 1 ml) 100 mg Usage Hospital, Personal Sandimmun neoral 100 mg/ml syrup is used during transplant procedures, certain eye conditions (endogenous uveitis, including Behçet's uveitis), skin diseases (atopic dermatitis, or eczema and psoriasis), severe rheumatoid arthritis (inflammatory disorder that typically affects the small joints in hands and feet), severe acute ulcerative colitis (disease that causes ulcers on the lining of the large gut) and a kidney disease called nephrotic syndrome. How it works Sandimmun neoral 100 mg/ml syrup belongs to a class of drugs called immunosuppressive agents. It lowers the body’s immune response thereby preventing the attack on the transplanted tissue or the body’s own cells.Common side effects Decreased urination, Paresthesia (tingling or pricking sensation), Persistent cough, Acne, Bruise, Bleeding, Blood in urine, Chills, Dark colored urine, Diarrhoea, Dizziness, Gingival hypertrophy, Swelling of gums, Headache, Liver toxicity, Increased potassium level in blood, Increased blood pressure, Increased hair growth, Loss of appetite, Sticky stools, Stomach upset, Facial swelling, Tremor, Vision disorder, Yellow discoloration of skin, Yellow discoloration of eye. 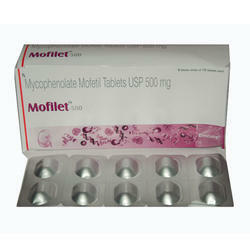 Mycophenolate Mofetil (360 mg) Uses Myfortic 360 mg tablet, in combination with other drugs is used to prevent the body from rejecting transplanted organs such as the heart, kidney, or liver. 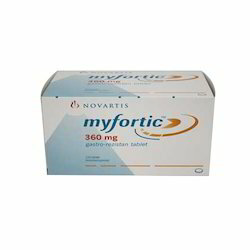 How it worksMyfortic 360 mg tablet belongs to a group of medicines called as immunosuppressant. It acts by inhibiting DNA synthesis in immune cells thus preventing the immune system from attacking the new organ or tissue and helps in avoiding organ transplant rejection.Common side effectsNausea, Pneumonia, Abdominal pain, Abnormal blood cell count, Agitation, Anemia, Confusion, Increased blood pressure, Decreased blood pressure, Depression, Diarrhoea, Viral infection, Fungal infection, Gastritis, Increased cholesterol level in blood, Respiratory tract infection, Skin cancer, Skin infection, Urinary tract infection, Vomiting. 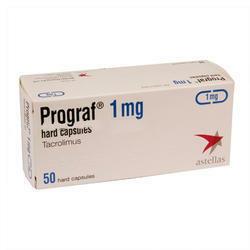 Progaft acrolimus(1 mg)Uses Prograf 1 mg capsule is used after transplantation of organs such as heart, liver, kidney or other organs so that the body does not reject the new organ. It is also used for certain skin diseases.How it works Prograf 1 mg capsule belongs to a category of drugs called as immuno suppressant. It prevents the body’s immune system from attacking the newly transplanted organ such as liver, heart, or kidney. This also helps in resolution of skin diseases due to altered immune function. Common side effects Nausea, Liver enzyme increased, Abdominal bloating, Abdominal pain, Acne, Anemia, Anxiety, Convulsion, Cough, Cramps, Depression, Diarrhoea, Edema, Flatulence, Hair loss, Hallucination, Headache, Increased potassium level in blood, Increase in body weight, Indigestion, Insomnia, Itching, Mood changes, Muscle pain, Nasal congestion, Rash, Reduced blood platelets, Renal impairment, Ringing in ear, Tremor, Increased blood uric acid, Vascular disorder, Vision disorder, Weakness, Decreased white blood cell count.